90037 Ford: Spirit of Dagenham, 90018 The Pride of Bellshill, 66057 & 66206, 6X65, Carnforth, Sat 1 July 2017 - 0516. DB Cargo's 2028 Didcot - Mossend, 25 late. As usual a Shed had hauled the train to Warrington Arpley. 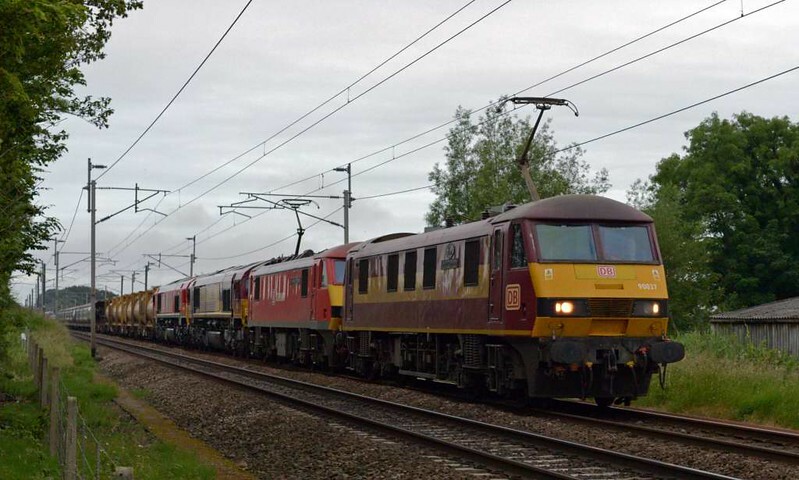 The 90s had then joined the train after working 6V15 1727 Mossend - Didcot as far as Warrington.